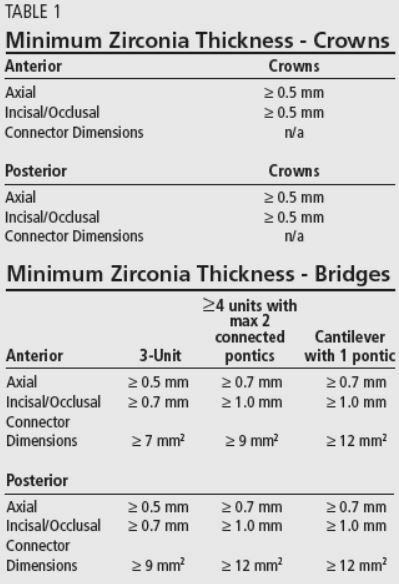 For nearly three decades, dental zirconia has been used for endodontic posts and implants. In 2010, full-zirconia restorations became available to dentists, which completely changed the dental industry for the better. Zirconia creates the strongest dental crowns and, in recent years, manufacturers such as Kuraray have greatly enhanced crown translucency to create an enamel-like look. That means that zirconia dental restorations are both natural looking and incredibly durable. 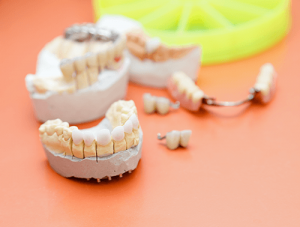 Because these restorations can be made using CAD/CAM technology, advantages such as precision and quicker turnaround times help dentists delight their customers with increased work quality. Zirconia crowns also allow for easy chairside adjustments, and they’re made to, in theory, last a lifetime. 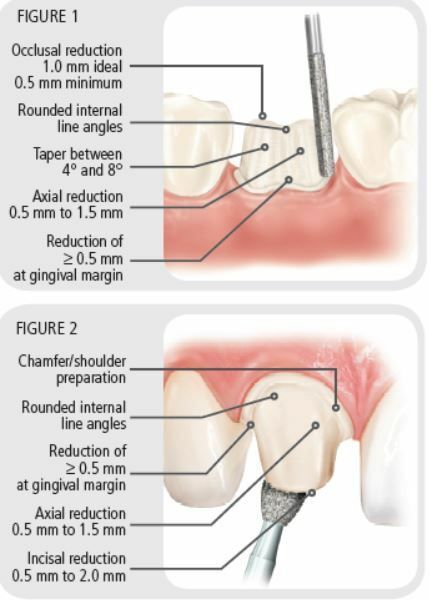 1) Preparation should follow the anatomy of the tooth, providing at least the minimum thickness required for the respective restoration (see Table 1). A 1.0 mm axial and occlusal reduction is considered to be ideal for full-contour zirconia dental restorations. 2) A definitive finish line (shoulder with rounded internal line angles or chamfer) is recommended. 3) All sharp edges and line angles should be rounded. At First Choice Dental Lab®, we focus on three major points: Customer service, on-time delivery, and consistent quality. That’s why we do everything we can to make sure you get the best quality of cases when you need them. We now have a zirconia restoration turnaround schedule that will work for any type of dentist. Choose between 3-day, 5-day, or 2-week turnaround times with us. Are you a new customer? Click here to see how you can save on your first month of full zirconia crowns! 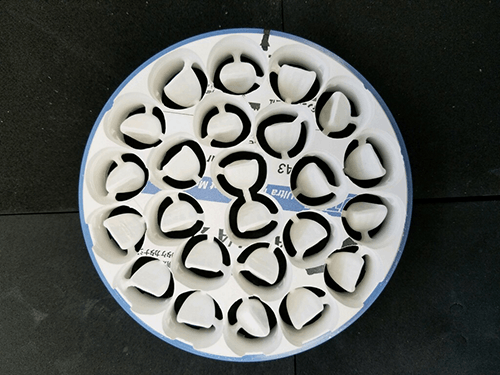 *Turnaround times are based on in-lab time, and do not include shipping days.